HALLIE EPHRON: After the excesses of Christmas, I'm happy to report that our one-and-a-half-year-old granddaughter was more interested in the giftwrap than actual toys. She's a great reminder of how sometimes the best toys are the simplest. Her favorites: empty plastic water bottles; a pair of foam balls; a few old silk scarves; and a box for her baby doll to sleep in. My daughter is planning to bring a length of self-sticking painter's tape on the plane for her little one to play with, along with a few cherished books. There was no painter's tape when my kids were little. 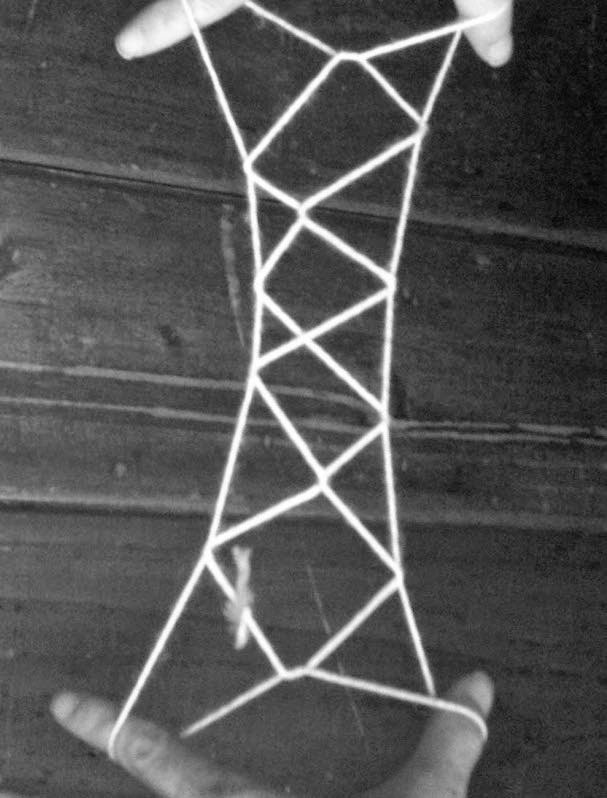 While my daughter was here, I cut a length of string and showed her how to play cat's cradle and make a Jacob's ladder. I hadn't done it in decades and yet the muscle memory returned. So what are the simplest of toys that you've enjoyed? HALLIE: That is SO charming, Lucy! No wonder you became a writer. Does your sister write, too? HANK PHILLIPPI RYAN: Fort. Or castle. Or sailing ship. First you get a couch, then you get some blankets. Drape the blankets over the couch, and get inside. Then you have to defend from the Indians (sorry, it was the 1950's) or the pirates, or BE a pirate, or be the trapped princess (which we insisted we were, anyway.) Flashlights and books were always welcome, as were girl scout cookies and the cat. Also, battleships, where you make the number/letter grid, and have a battleship, a cruiser, a destroyer and a sub, and then you got ten salvos to sink the other person's ships.The grids were easy to draw, and we covered everything with them. But then, our cool Uncle Fred had a printing business, and he would make pads of them for us.How great is that? Also, we'd play office. We'd get my step-father to bring home pens and legal pads, and those gold corporation stickers. and we'd dictate important letters. over our jeans, and we'd..oh, never mind. RHYS BOWEN: My kids did all of the above, Hank. Especially shows, plays. Poor Dominic was always the prince with a towel pinned around his shoulders. When they were little a cardboard box was the best toy--big ones were houses and boats. Several small ones were a village.or cars on a highway. When I was a small child my favorite toy was my grandmother's button box. 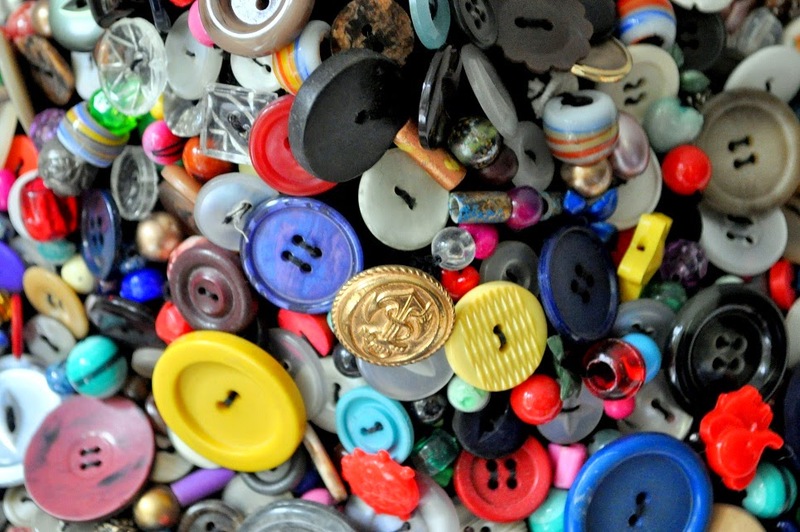 I'd make families of buttons, line them up in rows for a button school (I was a very strict school mistress) or find the chipped and cracked ones and put them in matchboxes for a hospital. The white ones were then the nurses and doctors. They were all given names and personalities. The sad thing is that many children have lost the ability for creative play because modern toys do everything for them. I hate Lego sets that let you make what is on the box. My kids had Lego--just plain blocks with which they made castles and boats and cars. DEBORAH CROMBIE: I did all those things. Card table and blanket forts. I played with my grandmother's button jar for hours. Both my parents worked at home so I played office. I didn't like dolls but my cousin and I (he's three months older) played for hours with little plastic action figures and bits of string. I was a great colorer, and, oh, I made card houses. Wonder if I can still do that? My daughter played with lots of the same things. She had her own pots and pan cabinet in the kitchen. And played office. She had My Little Ponies that had families and stories more complicated than people in our books! No lack of imagination there! My simplest toy was probably a stick. As a girl, I loved to wander for hours outdoors, playing the hero in all sorts of imaginary adventures. A stick could be my walking staff, spear, sword, magic wand and divining rod. I would spin lengthy elaborate stories that would run for days and days - really, it's amazing I didn't wind up as a fantasy author. Being by myself was a positive advantage under those circumstances; I never had to explain my make-believe world or talk other kids into going along with my tale. SUSAN ELIA MACNEAL: Wow, you guys have great memories! I remember a friend had an amazing costume box, and we would play pretend for hours and hours. (Probably good training for writing fiction!) And I remember all kinds of pretend play with the same friend (this was probably second grade?) and those Breyer horse figures. Anyone remember those? She was one of this horse-loving girls had a bazillion. HALLIE: So what have we left out? Forts in the woods? Mud pies? Share the simplest pleasures of childhood. All the things you've mentioned were part of our childhood playtime, too. I remember playing with jacks, too, and blocks. Legos were a favorite around our house when our children were little . . . .
Love these. We used to play office, too, setting up in a bedroom closet. Or post office: folding paper into envelopes, drawing stamps, and then the the cancellation mark over it. We also made ballerinas out of fuschias by poking a stick through the "torso" for arms. One summer we kids built a big sailing ship around the tether ball pole out of junk wood and lots of nails. My own kids had lots of fun stuff going on. One of the best were the many Pipeworks contraptions, including things with wheels, were a big hit. Pipeworks was a construction kit made of PVC pipes and connectors. We had two sets, and the girls made cars, wagons, forts, chairs, and all kinds of other things. I wish they still made this; my grandson would love it. They also had Legos that they played with endlessly, and that my grandson and grandnieces now use. They made cities, houses, beach sets, cars, planes, boats, and all manner of fantastic things. My grandson is a Legomaniac, and can put together even the most complicated kits in record time. Then he dismantles them and starts making his own creations. They are remodeling their house and he asked him parents to make a Lego table for him in the new recreation room. We also always had/have lots of fabric scraps around, since I sew, and since I used to teach sewing. There's always something to make something from around here, and rainy days were never boring. Still aren't, even though I'm the only one here most of the time! And Edith--love the bakery! did anyone turn out to be a cook? Oh, jacks! Joan, I remember too. With a golf ball because it bounced so well on sidewalk. Only you had to be careful not to let to land on the back of your hand. Wonder if I can still play. Wondering if I can still sit on the sidewalk with my legs in a Z? Ellen, speaking of 'speriments' you remind of what I used to do with worms. Horrifying. I could have ended up a serial killer. Edith, I'd forgotten all about the fuschia ballerinas! another 'tell' that we're California girls. Karen, this is an insight into your visually creative side! Give me a tree to climb--you could hide away and dream, or it could be a ship, a lookout point--a place to read. A big piece of cardboard became a slide down a grassy slope--who needs snow? A deck of cards and interminable games of War. We played shadow tag--if you stepped on the person's shadow, they were It. Oh, and paper dolls. My mother drew and cut out the dolls from white cardboard - they came with underwear on - and then we'd spend endless hours making outfits for them with the little tabs that folded down. She also made us a puppet theater out of a refrigerator box, painted, with a curtain, and a box full of hand puppets made from socks. (My mother was so very creative.) Many puppet shows. Oh, paper dolls, yeah, loved them . I had Cyd Charrisse, and the most fun was cutting the clothes out. We'd play store, too. Get stuff from kitchen cabinets like cans of soup, and spatulas, and make little money from buttons and paper, and sell it back to Mom. The kids in my neighborhood played marbles in summer, or sat in a tree and pretended to be birds, or rode bikes all over town (without supervision or helmets). In winter we built snow forts. And, of course, I read books. I don't think I have ever climbed a tree. Maybe there weren't any in Southern California? My kids used to climb the pine in our backyard, until one of their friends fell out of it. Cyd Charisse paper dolls! How fabulous, Hank!! 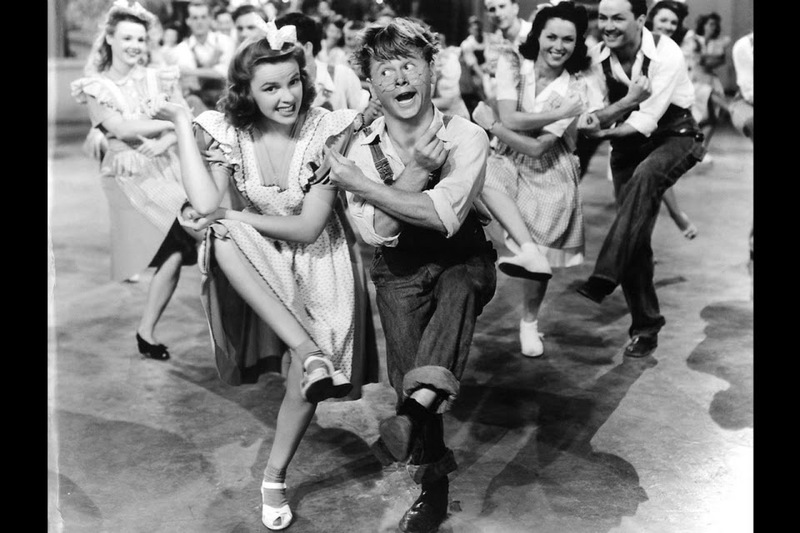 Did it include the spangly, slinky green costume she wore in Singin' in the Rain? We went hunting in the field by our housing tract with our toy bows and arrows. Rubber knives. We never killed anything because one, we never hit anything, and two, if we did hit something, say a gopher, the arrows just bounced off. Usually afterward I would read a chapter of Frank Buck's Bring'em Back Alive. Oh, paper dolls were so much fun, although my sister didn't ever want to play dolls. But my favorite was my Shirley Temple doll [which I've somehow managed to hold on to, though it's been a good many years since anyone has actually played with her] . . . .
An outdoor favorite in my Iowa childhood was hopscotch. We never had chalk and would hunt for a soft limestone rock to scribble on the concrete sidewalks. Or EPIC hide and seek, which involved all fifteen neighbor kids and a boundary of half a city block. Took for freaking ever to end a game. I was a champion hop scotcher too, Cate. Could play for hours. And jump rope: regular with 1 rope and double dutch with 2. Paper dolls! My grandmother subscribed to McCall's and I had a whole box full of Betsy McCall dolls (there was one in each issue, at the back). They all looked identical, so when I made up stories about them, I had to figure out how to explain why that was the case. I often played with all the clothes, but just five dolls, and pretended they were the Dionne quintuplets. I participated in almost all the activities people have mentioned. I recall my mother used to make her own "Play-do" for us -- some large portion of which would end up in our stomachs. A deck of cards had provided decades of inexpensive entertainment, either by playing solitaire or as I prefer with others. kick the can! the whole neighborhood would gather in a big yard and we would play until the bell on the porch rang, signaling our curfew. Ellen, that is so funny! I had an actual Betsy McCall doll, in the days before there were Barbies. My daughter had Barbies that inevitably ended up in naked pieces. Heads. Legs. Torsoes. And assorted shoes, dresses, etc. So she and her friends played "Headless Barbie's Clothing Store." Trees. We'd play house in the trees and the different branches were the rooms or we'd play I Dream of Jeannie and the tree was our "bottle." The sandbox made for hours of playing. I have a little brother so we'd play with Legos, or Lincoln Logs, or army men or trucks/cars. I had Barbies and scraps of cloth were made into clothes. And, yes, paper dolls. Loved them. And I had a felt doll -- using felt dresses stuck to felt "doll." We'd play dress up when we visited my Grandmother and could raid the attic and big closet. And roller skating with those REAL metal skates strapped to your shoes and the toe would slide off and back part would just kill your ankles. I do despair for the younger generations. Kids barely able to walk are given Leap Pads and start the endless play dates and over programming that I fear they don't know how to be alone within themselves or have any kind of imagination. James, I played endless games of solitaire, too. And when I had a friend War and Go Fish and poker with my dad's poker chips. What great memories. My aunt & uncle used to come over to play cards with my mother. Sometimes their card night turned into all of us playing jacks. My granddaughter has heard the stories so much she gave me a bag of jacks last Christmas. My mother was very protective so my sister and I had to stay pretty close to the house. We did a lot of pretending - complete with accents. And for some reason when we were stranded in the wilderness (tiny back patio) "Help" wasn't adequate. Our call was "Hel-a-pa." Occasionally one of us will remember and call out to the other: Hel-a-pa! This discussion reminded me of summer vacations, and how our kids spent them. Robin, the summer she turned 7, decided to have "school" for her almost 4-year old sister. It went well that year; Holly had started reading, and Robin's help took her to a new level, plus they did arithmetic together, and other stuff. The following summer, two days into vacation, Holly came to me, complaining, "Mommy! Robin is giving me too much homework!" So much for "play". That was pretty much the end of summer school. Paper dolls led to sewing a complete wardrobe for my little sister's Tammy doll, which her daughter later played with. Mom taught me to sew things to last. According to my grandson, you can't call the card game "War" anymore. You have to call it "Compare." I was an outdoors little kid -- our neighborhood was a post-war (WWII) development surrounded by woods that eventually became more houses. Our little gang would do all of the pirate, cowboy, Indians, etc. My older two daughters had the dearest activity when we visited their Nana on Cape Cod (long three-week visits): they took cardboard shirt boxes and made them into houses and cut out people, furniture, etc. They stored them under their beds and went right to them the next time we arrived! We had trouble getting them outside for some sun! Oh, yes--hopscotch. And onesy-twosey with a rubber ball against the side of the house. Every number was a different kind of throw. I was quite good at it. Now I can't even remember how to play beyond one being underhand and two being overhand. Breyer horse statues!! Thanks for mentioning them, Susan. I was one of them girls. Rows upon rows of horse statues lining my book shelves. I still have them -- they're collectibles now. How about chalk on sidewalks? Could do hop scotch for hours. So much fun hearing about how you Reds entertained yourselves as children, and it's fun to think back on what activities I did, too. Yes, there were mudpies, and my pigtails usually managed to have the ends dipped in. I was the youngest in my family, and my sisters were 8 and 10 years older, and my brother was 3 years older, so I did most of my playing with friends up and down the street. At that time in the late 50s and early 60s, it wasn't unusual at all to go out the door in the morning, come back for lunch, if we didn't eat at each others houses, and play again until suppertime. Outside we rode our bikes, playing cops and robbers, which the older kids participated in. We played kick-the-can and red-light-green-light-hope-I-see-a-ghost-tonight. I took picnics with the boy next door to one of the hill areas behind where we lived. Of course, we were explorers on a mission. My friends and I played loads of hopscotch and jacks, usually playing the jacks on one of our front porches. We jumped rope, too. Did I mention we spent a lot of time outdoors. Even when it got cold, there was snow to go sledding and make snowmen. Indoors, there was one friend who had a giant, school-sized chalkboard in her basement, so several of us played school there. That same friend is who I spent many hours playing Barbies with, pretending one of the Kens was her dreamy cousin. Paperdolls were pretty cool, too. I remember playing dominoes with my friend next door. In fact, another association I have with dominoes is President Kennedy's funeral shown on TV. I remember being in our family room in the basement with all the family gathered to watch the black-and-white television. I was sitting on the floor behind the others playing with dominoes. My mother told me I needed to stop playing and watch the important event unfolding. i did. I did have some time indoors with my brothers and sisters playing board games as I got older, Monopoly being the favorite. My brother and I got quite good at Chinese Checkers. And, of course, we played cards some, too. One last thing. I loved looking at my mother's buttons in her sewing materials. Rhys, I wasn't as clever as you were with the buttons. I just liked looking through them. I want to do some sort of project with my granddaughters using the buttons. There are quite a few creative ways to use them in pictures and such. I need to get on that. I did a lot of tree-climbing and played a lot of neighborhood football and baseball (had a lot of little brothers and was what was then called a "tomboy"). But I sewed doll clothes for my little sister (I didn't play with real dolls), learned to make real but tiny doll quilts from my grandmother, and played with paper dolls with my female cousins. My favorite thing (probably because I had so many little siblings to take care of and I did it alone) was to go off in my Uncle Glen's wheat fields to a spot deep within the field that I'd trampled flat where I'd act out with original songs my own musical called "Flowered Plates" I'd written based on an Agnes Sligh Turnbull (or her ilk) novel. At the end of his life, I confessed to Uncle Glen that I'd been the one who trampled down some of his wheat. This is a farm family sin because that wheat you trample can't be harvested. He smiled and said, "I always knew. I loved to hear you singing while I was out on the tractor. You sounded like a little bird." I just remembered something that was more fun than it might sound. 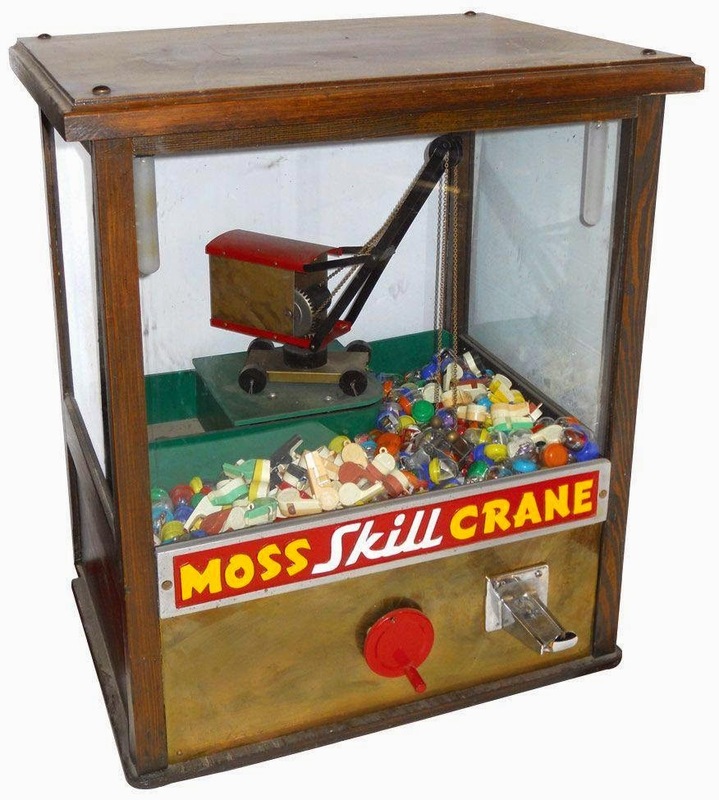 It wasn't really a toy, but it was a means to play that cost nothing and was very simple. When we lived in the woods out near Concord we used to play house. Wed take a board and push in pine needles that had fallen into the ground into rows marking the walls for the house and leaving openings for doorways. Sometimes we would very this game by playing school and creating the schoolhouse and play yard the same way. Hank! War and Hangman. Two our favorite childhood games. Can you imagine. Linda Rodriguez, that is a lovely story! I heart your uncle Glen! Hallie, loved the dominoes! My parents played 42 so I played all kinds of games with dominoes. Great building blocks. Such sweet stories from everyone! So many of us us were little adventurers. My friend Franny and I spent days playing in the "creek." (A creek looped around three sides of our property. You could go down the steep banks into the wide creek bed and pretend you were in an entirely different world...) We were explorers or settlers or Indians. Many of our games involved sitting on a huge tree trunk that grew horizontally across the water, and eating things like Vienna sausages:-)Oh, and I seem to remember that we did "laundry" in the creek. Heaven knows what we scrubbed!